Do you eat, drink, breathe, and live lean manufacturing and six sigma? 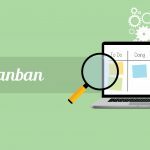 In this day and age, where there are endless resources available to us – anytime and anywhere and most of them free, it is helpful to have what you need to be an effective lean manufacturing or six sigma practitioner. 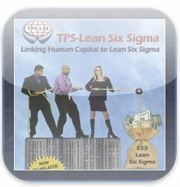 With that as context, here are 22 Lean Six Sigma, Business Excellence, or Process Improvement iPhone Apps: resources that can help you in your practical implementation of lean methods or six sigma anywhere you might be. 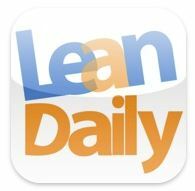 Lean Daily consolidates the latest posts from your favorite lean blogs into one convenient app. 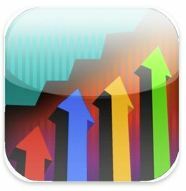 The Lean Enterprise Institute provides a free iPhone app that you can download for your iPhone or iPod Touch. This app is another way for you to stay connected with LEI – our community and our latest content and information. 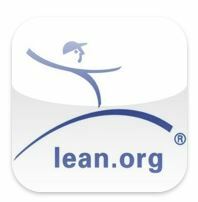 You can download the app via this Apple link or via the iTunes App Store (search for “lean enterprise”). “Task Rate Calculator” will then generate the weighted average amount of time it takes to complete a given task unit, as well as the average number of task units that can be completed per hour. “Task Rate Calculator” provides you with helpful information and instruction for each requested piece of data, and allows you to enter Verification Notes to record how data was obtained and when. 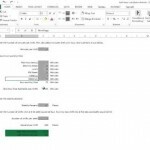 “Task Rate Calculator” also allows you to send data to any email address; once received, the emailed data can easily be copied and pasted into a spreadsheet to form the building blocks of effective performance analysis. Ummm, this next iPhone App seems a bit overdone. Whenever I’ve done a Gemba Walk, all I’ve needed was a pencil and a pad of paper. I’m not sure what this App offers, but for $9.99, it better offer drinks, food, some entertainment, and some ice cream also. BlitzGemba is an easy-to-use notebook App for a gemba walk reporting purpose. It can be used for an ordinary gemba tour or for a visit with a specific observation goal. The App integrates the principles of lean thinking and gemba management into a standardized, efficient report with handy features (counter, stopwatch, voice recording, photos). It includes the possibility to send your findings by email so that you can work out your report in your own computer environment. After reading the description, it doesn’t look like I’ll be getting anything I couldn’t get from a pad of paper and a pencil. So, save your money, buy some paper and a pencil instead. 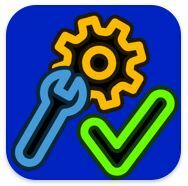 This iPhone App wins the “stupidest icon award” for an icon that has nothing to do with the App itself. Seriously, what does two men and a seductive woman holding a fishing pole, fishing in a bag full of money have to do with anything? This new book emphasizes the introduction of a new blueprint, called TPS-Lean Six Sigma, for addressing the primary concerns of manufacturing and service in a more sustainable and humanized way. It leads to a High Performance Culture and allows employees to realize their full potential and contribute creatively while the organization benefits from increased profitability, market share, and customer satisfaction. By way of this book, Hubert Rampersad and Anwar El-Homsi are launching a revolutionary, holistic concept which actively has human capital embedded in Lean Six Sigma in a manner that not only stimulates commitment, integrity, work-life balance, passion, enjoyment at work and employee engagement but also stimulates individual and team learning in order to develop a motivated workforce and sustainable performance improvement and quality enhancement for the organization. I suggest you don’t buy this App, save your money, and buy some junk food instead. This iPhone App is pretty useful. 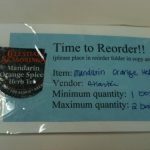 It provides the basic preparation needed for successful Kaizen events. 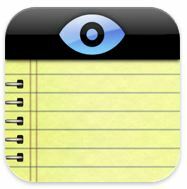 The App is essentially a big reminder or To Do list for effective Kaizen events. Portable, interactive checklists for planning and executing Kaizen events and conducting post-Event follow up to assure sustainability. Assure successful outcome through event planning and execution. 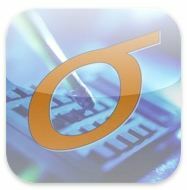 This iPhone App is a reference guide and a study guide for the ASQ Green Belt and Black Belt Certification Exams for SixSigma. 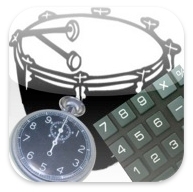 If you care about black belt certification or recognition from ASQ, then maybe this iPhone App is for you. 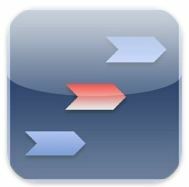 Upward Mobility’s Six Sigma Green Belt and Black Belt test prep app for the iPhone contains a targeted curriculum of 299 questions addressing key topics for this important certification from the American Society for Quality (ASQ). 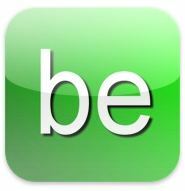 This app contains 149 Green Belt questions, and 150 Black Belt questions. Each question is paired with an explanatory answer and a Key Takeaway. The Key Takeaway is designed to help the learner master the most important point of the question. The primary editors for the content were Ted Chan, an experienced project manager who holds a MBA from MIT’s Sloan School of Management, and Eric Chan, an ASQ certified industrial engineer. This app would also be useful for anyone studying for IASSC’s Green Belt and Black Belt certifications, or who wants to improve their general Six Sigma / quality management skills. It is also an effective refresher for those who need to be re-certified. The intuitive Study Mode interface allows you to track your progress and circle back to questions for later review. Test Mode allows you to take the course as a sample exam and quickly review incorrect answers. In many cases, professional training is reimbursable. Check with your employer or tax accountant to determine if this training module would be for you. 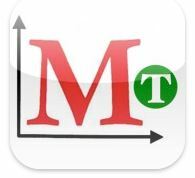 If you ever need to do any Six Sigma calculations on the road, such as Defects Per One Million Opportunities (DPMO) or Rolled Throughput Yield, then maybe this iPhone App is for you. SigmaCalc is a Six Sigma process calculator that allows the user to calculate the Sigma value of any process — manufacturing, transactional or service. If offers a slick interface for quick computations. Six Sigma process calculator fields include units, opportunities per unit, defects and shift. Six Sigma process calculator output fields include defects per unit, DPMO (defects per million opportunities), defects (percent), yield (percent) and process Sigma. Developed by the same person who founded iSixSigma (www.iSixSigma.com), the premier Six Sigma media company and publisher in the world. Bonus: the about page includes definitions of all the input and output variables so you have a full understanding of your process. Six Sigma is a set of strategies, tools, methods, and training programs proven in many industries to greatly improve work processes. This business management strategy began in manufacturing processes to eliminate defects (errors), but since has been broadly applied to a variety of industries including the airline industry and most recently, healthcare. In Six Sigma, a defect is broadly defined as anything that can lead to customer dissatisfaction. The term “six sigma” is derived from a field of statistics known as process capability studies and comes from the idea that if there are six standard deviations between the average and the nearest defect, there will be practically no errors. Originally, it referred to the ability of manufacturing processes to produce a very high proportion of product within its specifications. Processes that operate with “six sigma quality” over the short term are assumed to produce long-term defect levels below 3.4 defects per million opportunities (DPMO). Six Sigma’s implicit goal is to improve all processes to that level of quality or better. The question is often asked, “What Sigma Level Are We?”. Sigmalator is designed to take the number of defects/errors in a process and calculate a sigma value. To account for the real-life increase in process variation over time, an empirically-based 1.5 sigma shift is introduced into the calculation. This is based on the fact that a process that is normally distributed will have 3.4 parts per million beyond a point that is 4.5 standard deviations above or below the average. So the 3.4 DPMO of a “Six Sigma” process in fact corresponds to 4.5 sigmas, namely 6 sigmas minus the 1.5 sigma shift introduced to account for long-term variation. This is a book as an iPhone App. I haven’t read it, but is another resource for those on-the-go. Six Sigma, a methodology for improvement shaped by companies such as Motorola, Honeywell, and General Electric. These recognized and proven quality programs are rising in popularity as more technology managers are looking for ways to help remove degrees of risk and uncertainty from their business equations, and to introduce methods of predictability that better ensure success. Process Improvement Essentials combines the foundation needed to understand process improvement theory with the best practices to help individuals implement process improvement initiatives in their organization. The three leading programs: ISO 9001:2000, CMMI, and Six Sigma–amidst the buzz and hype–tend to get lumped together under a common label. This book delivers a combined guide to all three programs, compares their applicability, and then sets the foundation for further exploration. It’s a one-stop-shop designed to give you a working orientation to what the field is all about. Unlike the two Six Sigma calculators above, this one is very focused on lean-specific measures such as takt time, unit kanban, and others. 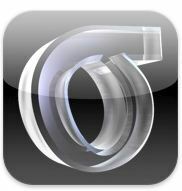 TaktCalc is the iPhone application that allows you to evaluate your manufacturing processes on the shop floor. TaktCalc is designed to be used as a tool for professional process control engineers familiar with the principles of Demand Flow Technology. TaktCalc will aid computing kanban sizes and operational takt times. The purposes of these pages is to familiarize you with TaktCalc. For more detailed instruction regarding Demand Flow Technology as well as lean manufacturing please review the links page. This business assessment tool outlines the key elements for any business success, irrespective of industry or size. It allows you to assess your business and provides guidance on how to drive improvement. It is based on BusinessExcellence.ie model for Business Success. Assess your business under the headings of Strategy, Products & Services and Processes. Submit your assessment to BusinessExcellence.ie for a personalised roadmap for your business. Here’s another Six Sigma guide. There are many different theories on how a business should be run. One of the best theories out there is Six Sigma. If you have heard of it, but never looked into it, or if you want to start using it then you need run through this guide and find out what you’ve been missing! The road to a better business starts here! Haven’t you always wanted to know the basics of Six Sigma? Learning about Six Sigma has never been so easy with the newest line of applications from Brighthouse Labs! With so many mysteries in this world, we all need a guide sometimes. Understanding the world around you is the only sure way to get the most out of it. Don’t get caught with less information than you need! 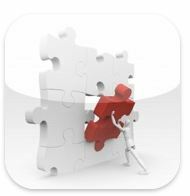 Download the iGuides – Basics of Six Sigma application today and get in the know! Great Introductions that help you understand the “big picture”. View chapter by chapter for fastest searching. Step by step, easy to follow instructions. 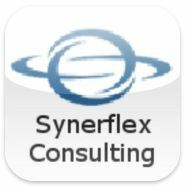 This App, put out by Synerflex Consulting, looks to be an RSS aggregator of various lean resources on the web. It was created by a consulting firm, so it appears to be a marketing tactic to gain clients. Synerflex Consulting brings you all the top headlines, videos and learning on LEAN Manufacturing and LEAN Service. 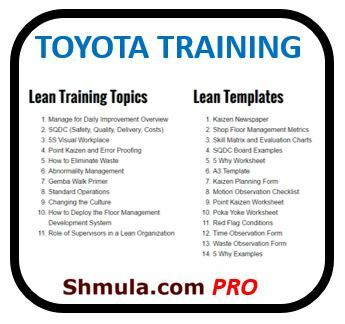 It also provides you a brief daily learning on LEAN. 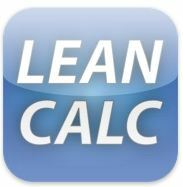 Lean Calculator is a must have for Lean and Six Sigma practitioners, Manufacturing Engineers, Industrial Engineers, Supervisors, and Managers. Nutzen Sie Sigma Coach als ständigen Begleiter, wenn Sie Six Sigma Projekte durchführen. Nutzen Sie die Beschreibungen vieler Standard-Werkzeuge, aber auch solcher Werkzeuge die wir in unserer Beratungspraxis schätzen gelernt haben (bspw. die 3V-Methode). 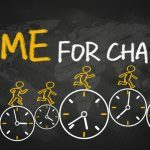 Mit Sigma Coach sprechen wir nicht nur den erfahrenen Anwender an, sondern auch den Personenkreis, der erstmalig mit der Projektvorgehensweise nach Six Sigma Erfahrung sammeln möchte. Möchten Sie die Beschreibung eines Werkzeugs einem Kollegen zukommen lassen? Dann nutzen Sie die E-Mail Funktion, mit der Sie Inhalte und grafische Darstellungen direkt aus der Applikation versenden können. Verwenden Sie unseren grafischen Sigma Rechner zur Bestimmung der Prozessgüte. Experimentieren Sie mit den Parametern und sehen Sie das unmittelbare Ergebnis. Generate a histogram of data, with key statistical measures. Lookup methods, statistical methods and definitions from Wikipedia. When no network connection is available, you get a locally cached version. Mark documents as favorites for quick access. Updates local content and links when connected to the network and a new version is available. 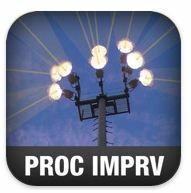 Provides the simple Tools, Process, Bookmarks interface, optimized for the iPhone. Enables easy navigation, categorization and quick alphabetical access. 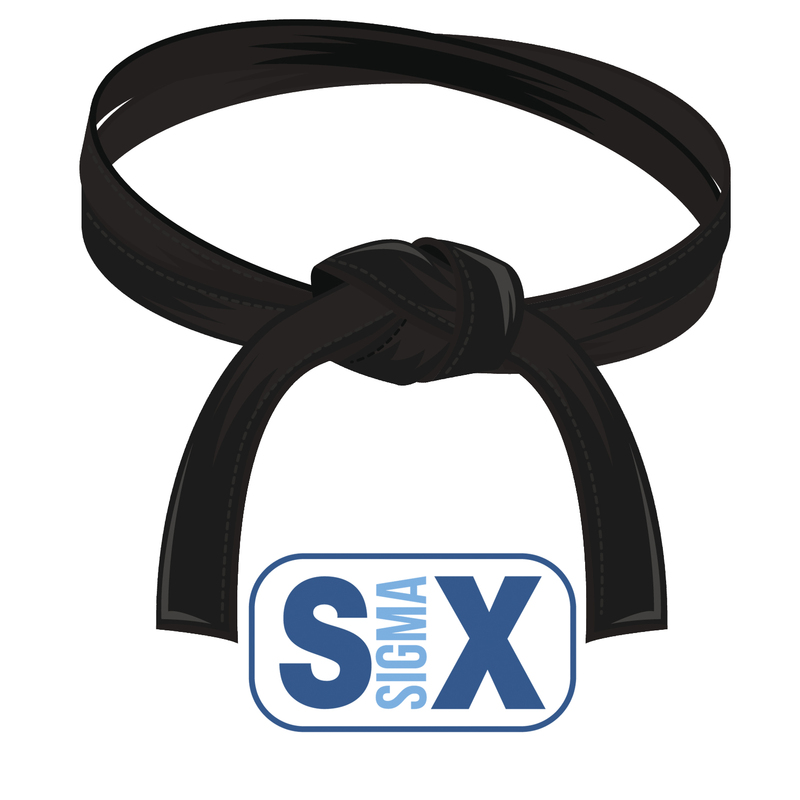 Gives you key six sigma information, just when you need it. * Looks good enough to show your customers and colleagues. 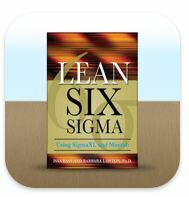 Effectively Execute Lean Six Sigma Projects using SigmaXL and Minitab Written by a Six Sigma Master Black Belt and a Ph.D., this practical guide to Lean Six Sigma project execution follows the DMAIC (Define, Measure, Analyze, Improve, and Control) roadmap. The many real-world examples used in the book offer in-depth theoretical analyses and are implemented using the two most popular statistical software suites–SigmaXL and Minitab. This expert resource covers Lean topics ranging from basic data analysis to complex design of experiments and statistical process control. Harness the power of SigmaXL and Minitab and enable sustained positive operational results throughout your organization with help from this authoritative guide. Lean Six Sigma Using SigmaXL and Minitab explains how to: Define the project goals, project manager, value statement, stakeholders, and risk Schedule tasks using the Gantt chart, critical path analysis, and program evaluation and review technique Capture the voice of internal and external customers Assess the cost of quality Gather data and measure process performance Perform process capabilities analysis Apply Lean Six Sigma metrics to determine baseline performance Implement analysis techniques such as Pareto analysis, value stream mapping, failure mode and effect analysis (FMEA), and regression analysis Identify constraints via factorial experiments, and implement process improvements Monitor production performance using statistical process control. 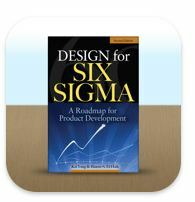 The Latest Tools and Guidance Needed to Implement Design for Six Sigma in New Product and Service Development! Hailed as a classic in its first edition, Design for Six Sigma has been fully revised and updated to equip you with everything you need to implement Design for Six Sigma (DFSS) in new product and service development. The Second Edition of this indispensable design tool retains the core of the previous edition, while adding new information on innovation, lean product development, incomplete DOE, mixture experiments, and alternative DFSS roadmaps—plus new thread-through case studies. From quality concepts and DFSS fundamentals…to DFSS deployment and project algorithm…to design validation, the updated edition of Design for Six Sigma gives you a solid understanding of the entire process for applying DFSS in the creation of successful new products and services. A one-stop resource for developing a sure-fire DFSS program. Expert walkthroughs that help readers choose the right design tools at every stage of the DFSS process New to this edition: new chapters on innovation, lean product development, and computer simulation; new material on critical parameter management; new thread-through case studies Providing real-world product development experience and insight throughout, the Second Edition of Design for Six Sigma now offers professionals in a wide range of industries the information required to maximize DFSS potential in creating winning products and services for today’s marketplace. 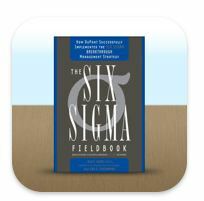 Ever wish you had a quick reference guide to the Six Sigma methodology and tools on your iPhone? 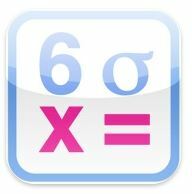 Now you can with the Six Sigma iPhone Application. 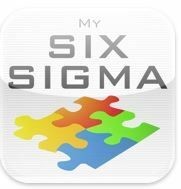 The Six Sigma iPhone Application is a Quick Reference Guide for the Six Sigma™ program methodology and tools. Not only does it have the complete Six Sigma methodology, it also has short synopsis for each Six Sigma and Lean Manufacturing tool. This is another expensive book as an iPhone App. The authoritative hands-on guide to putting the Six Sigma strategy into practice, written by Mikel Harry, co-founder of the Six Sigma Academy, and Don Linsenmann, the Six Sigma champion who helped to implement Six Sigma across DuPont’s eighteen business divisions.The ideal companion to Mikel Harry and Richard Schroeder’s national bestseller Six Sigma, THE SIX SIGMA FIELDBOOK takes readers inside the nuts and bolts of implementing the Six Sigma breakthrough strategy, showing readers how companies can streamline their operations, improve the quality of their products and services, and dramatically increase their profits.Based on DuPont’s multi-year unrolling of Six Sigma throughout the company’s global business divisions, THE SIX SIGMA FIELDBOOK discusses the opportunities, obstacles, and challenges DuPont faced in making the decision to embrace Six Sigma and attempting to adapt it to DuPont’s unique culture. DuPont Six Sigma champion Don Linsenmann reveals the tools DuPont’s managers needed to introduce and sustain Six Sigma quality at every level of the company, from the corner office of the executive boardroom to the factory level. DuPont used Six Sigma to help reshape their entire business model; as a result, they saved billions of dollars. Using as a framework DuPont’s successful multiyear implementation of Six Sigma across its business divisions, THE SIX SIGMA FIELDBOOK reveals the day-to-day obstacles and challenges managers face in coordinating its efforts to implement and sustain Six Sigma and offers a comprehensive road-map on how companies of all kinds can successfully apply Six Sigma methodology to increase profits and improve quality. MIKEL J. HARRY, Ph.D., is the founder and former CEO of the Six Sigma Academy, Inc. He helped develop the Six Sigma program at Motorola during the 1980s and later served as corporate vice president at Asea, Brown, Boveri, Ltd. He lives in Scottsdale, Arizona. DON R. LINSENMANN is vice president and corporate champion, Six Sigma, at DuPont, leading the global deployment of DuPont’s Six Sigma program. In addition, he has global responsibility for DuPont’s Corporate Strategic Accounts. He lives in West Chester, Pennsylvania. Thanks for the link, Pete! Any questions about our app, please just let us know. 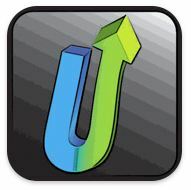 We welcome user feedback and we are always trying to improve our apps. Thanks for compiling this list. It would help if you added links to the iTunes store for each post (for those of us who are lazy… I mean efficient).